A dramatic 911 call tells the tale of a Brevard County, Florida man who faced down a pair of intruders. The two goblins pointed a gun at the resident's mother in her own bedroom. In a nutshell, they thought holding momma hostage would motivate the resident to surrendering. It didn't quite work out that way as the resident produced his own gun and fatally shot both intruders. Alvin Smalls, aged 20, died in the bed of the homeowner's mother, giving new meaning to "rest in peace". If Smalls could talk, we could only imagine his sales pitch for the mattress: "A night's rest to die for!" or "You'll sleep like the dead!" The second man, Amir Lynn, 18, managed to make it out of the house, albeit just barely. He collapsed in the street, mere feet from the getaway vehicle. Lynn desperately wanted to get make his escape, but the pesky gunshot wound slowed him down. Well, that and Smalls had the keys to the car in his pocket back in the house. Cops and paramedics found Lynn and tried to resuscitate him. Paramedics' efforts proved unsuccessful. Lynn's mother arrived at the scene soon afterward. Deputies had to cuff her when she stormed past the crime scene tape demanding answers. Ironically, Smalls' brother had also died on the same street last year. That homicide case remains open. The Brevard County Sheriff's Office said Smalls, 20, of Titusville, and Lynn, 18, of Mims, broke into a home on West Court in Titusville and got into a fight with the residents. Fortunately, the un-named homeowner chose the benefits of firearm ownership over membership in the "un-armed victim" fraternity. It may well have saved not only his mother's life, but his as well. As for the bad guys? They learned an important lesson in civility before they became part of next year's Giffords' Gun Control Scorecard rating and the effort to impose victim disarmament upon America's law-abiding citizens. This entry was posted on February 11, 2019 at 3:41 pm and is filed under Blog. You can follow any responses to this entry through the RSS 2.0 feed. 2 more criminal thugs graduated out of the criminal "justice" system, good riddance. Aren't these those guys from Virginia in their blackface? 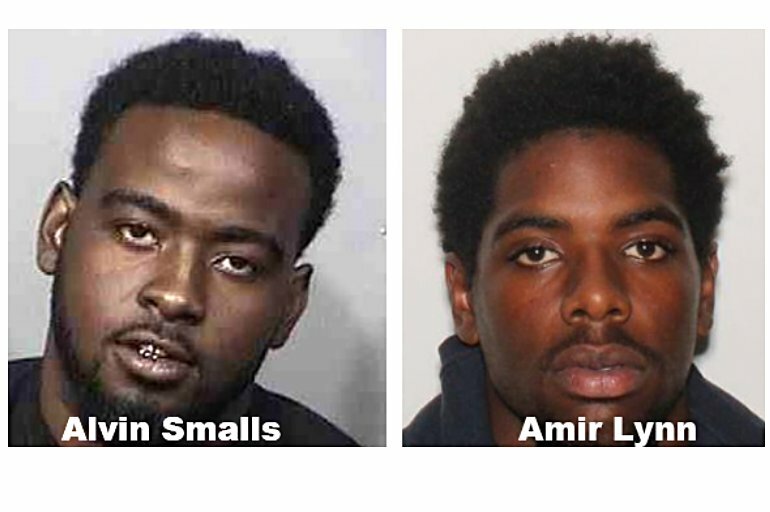 Waiting for the liberal anti gun filth / gun grabbers to label this "sensless gun violence" and post pictures of Alvin and Amir ( AKA worm food ) in cap and gown graduation pictures. Why do they say "allegedly"…the dead criminal is laying inside the house. His accomplice is dead next to the get away car. There is absolutely NO "allegedly" about the event! They are getting their due punishment now. I bet ol' Xavier Hartman can show them boys around…looks like they will have forever to be acquainted. Keep hitting that lever eventually we will get the toilet clean.